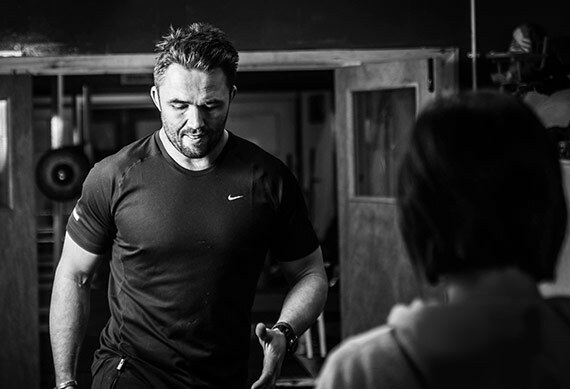 Sacha has been a professional sportsman for the last 13 years, and has developed a deep understanding of health, nutrition and conditioning from some of the best in the game. He became a professional rugby player at the age of 18, and since then he’s been studying the ways to manage both his lifestyle and body, with the use of nutrition and exercise, to give him the best chance at performing to the best of his ability when on the pitch. This gave him a deeper understanding of what it takes to maintain a healthy body with a strong mind set to tackle most of what life throws. He’s taken his professional sportsman knowledge and pumped it into his new career - personal coaching. He aims to give his clients the full package, and will help you understand how to train and eat effectively for your body type and fitness level. He will not only make sure you look and feel better but give you the knowledge, understanding & motivation to succeed and lead a healthier lifestyle for the long term. "Typically, a PT costs you upwards of £30 per session. Multiply that by three or four workouts a week and your bank balance will be sweating before you do. 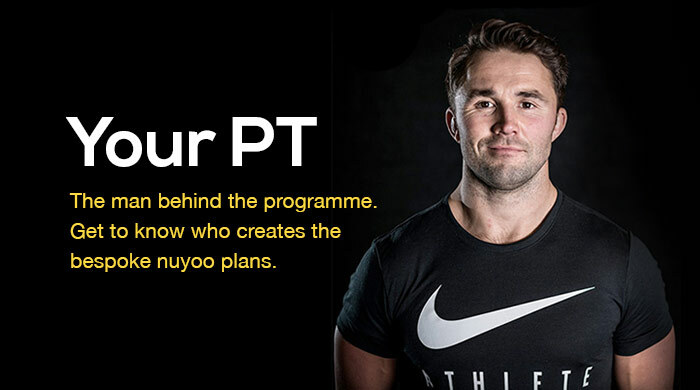 I wanted to create an online programme that was accesible to everyone and less costly than a PT without losing the personal aspects and benefits. Now, with the Nuyoo programme, you can get my secrets for the same price as a weekly coffee." You will receive a tailored plan that is designed for you, as if you were having a personal session with Sacha. You will be able to hit your goals with the help of the easy to follow workout videos, and by enjoying the 60+ healthy meal suggestions from the recipe book. Maintaining good health is of the upmost importance, but make sure that it’s your body who loses the pounds and not your bank account. You’ll soon need all your hard-earned money to spend on a new wardrobe! It all adds up to a fitter, healthier new you, so join here!